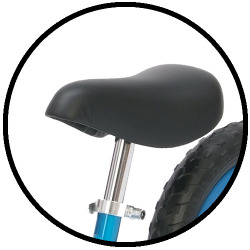 Factory replacement seat will fit Mini Glider and Go Glider, comes with short seat post 5.25". Includes seat for easy swamp out (no tools required). Great for our littlest riders. Will raise up to 15".